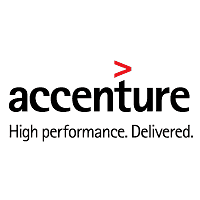 Accenture Solutions Pvt Ltd planned to conduct Off Campus Drive to hire post of Application Support Associate for 2018 Batch BCA/B.Sc graduates at Chennai/Coimbatore/NCR/Pune. The more detail about Accenture off campus given below. Aggregate of 60% and above / CGPA of 6 and above at the time of recruitment process. Bhutan & Nepal nationals can work in India without a need for obtaining a visa to work. All other foreign nationals require work visa or an OCI / PIO card to work in India. How to Apply Accenture Off Campus Drive 2019? Interested and eligible who wish to apply Accenture drive can apply for this position in online and attend drive at the following venue on 20 April 2019 & 27 April 2019.